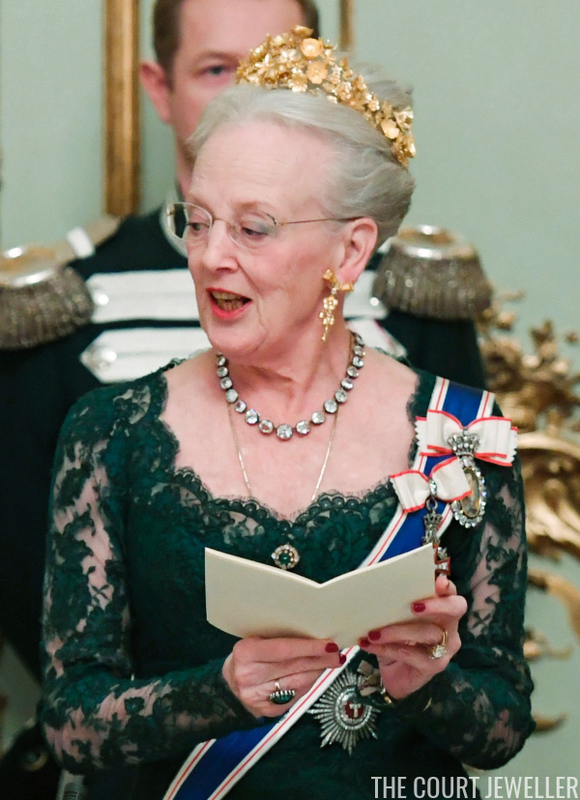 For yesterday evening's banquet, Margrethe brought out her newest tiara: the bright, golden Naasut Tiara. 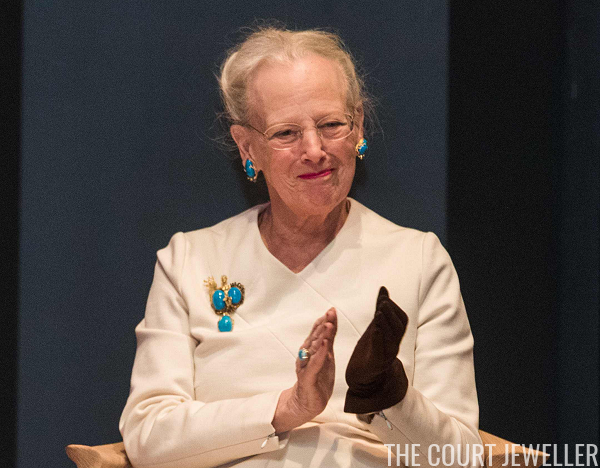 The piece was part of Greenland's Ruby Jubilee gift to Margrethe in 2012. (You can read much more about it over here!) She paired it with a diamond riviere, which seems like a mismatch to me. She also wore the earrings from the Naasut demi-parure, a diamond and emerald cluster brooch, and a large ring that also appears to be set with a green gemstone. 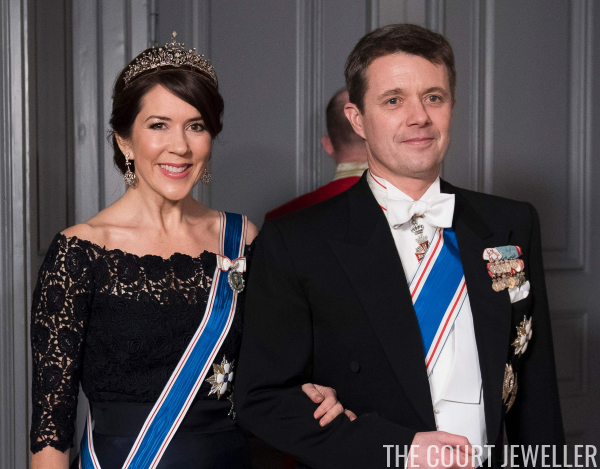 Crown Princess Mary wore her Edwardian Tiara with coordinating jewels for the banquet. 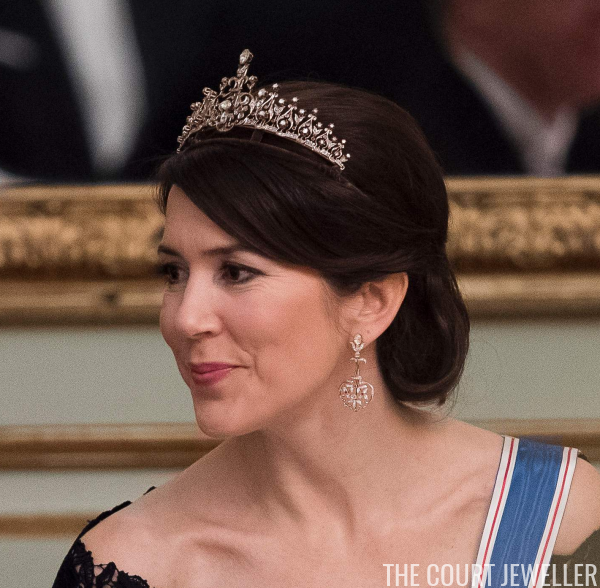 And here's a closer look at both the tiara and Mary's earrings. And there were no surprises from Princess Marie, who wore Princess Dagmar's Floral Tiara. 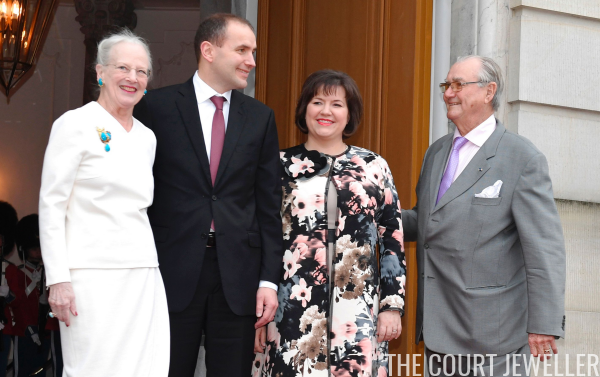 One more Danish royal made an appearance at the banquet: Princess Benedikte, who wore Queen Sofia's Star and Pearl Tiara.